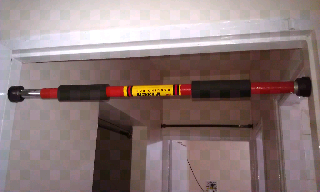 I bought a chin-up bar today. Idea is to regain the muscle mass that I think I have lost due to excessive computer use. This rod cost me 650 rupees. 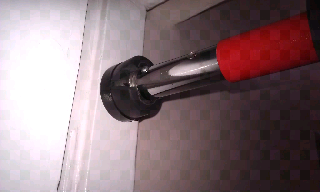 There were two cup like discs which had to be fixed facing each other on the door frame. Each had 3 screws to hold it in place. The rubber edges of the rods would sit it these cups. The rod comes with an L key which goes into the hole at one end of the rod. The rod to fixed into place by using this key to rotate the inner cylinder which telescopes out there by increasing the effective length of the rod slowly with each twist. 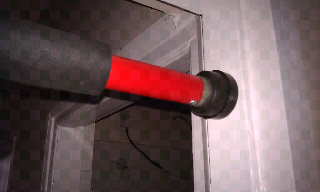 The rubber ends compress against the cups which had been previously been fixed in the door frame. As it is with most things in life, if u tighten something too much, it break - observe the rubber end which buckled under pressure. I think the rod is still safe to use.